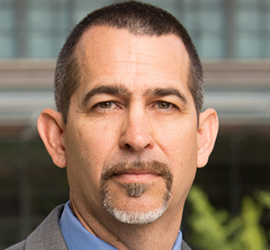 Dr. Robert J. Bunker is an international security consultant based in Los Angeles supporting US (and allied) governmental entities and businesses with his three decades of counterterrorism research and practical experience. He was twice past Futurist in Residence at the Federal Bureau of Investigation (FBI) Academy in Quantico, VA and past Distinguished Visiting Professor and Minerva Chair at the Strategic Studies Institute (SSI) of the U.S. Army War College (USAWC), Carlisle, PA. His civil aviation threat research includes studies on low energy (counter-optical) lasers, weaponized drones, man portable air defense systems (MANPADS), and advanced suicide bomber forms. He has authored and edited hundreds of publications on security-related topics (including Body Cavity Bombers: The New Martyrs with Chris Flaherty), gleaned specific expertise from extensive specialized counterterrorism training, and presented a broad range of information and training sessions over the past 25 years.